A study just published in the Journal of the Academy of Nutrition and Dietetics shows acne patients eat more sugar and junk food than people with clear skin. Dr. Jennifer Burris and colleagues from Department of Nutrition, Food Studies, and Public Health and New York University polled young adults of their dietary habits and acne severity. They asked 248 people aged 18 to 25 to fill a questionnaire assessing their intake of sugar, milk and other acne-relevant foods. The participants were also asked to fill another questionnaire determining their acne severity. The participants were classified into 3 groups based on their acne severity: no acne, mild acne and moderate/severe acne. This graph shows intake of various foods for the different groups. The bars are plotted on the axis on the left and the line chart on the right-hand axis. So you would read the transfat and total fruit and vegetable intake from the right-hand axis and the other values from the left-hand axis. The most shocking finding is the difference in total and added sugar intake. While people with mild acne eat little bit more sugar than people with clear skin, people with moderate to severe acne eat almost 4 and 3 times more sugar than people with no or mild acne, respectively. The vast majority of sugar is added sugar, which moderate to severe acne sufferers eat on average 156 g per day. 156 grams of sugar translates to almost 13 tablespoons or 1.5 34oz (1 liter) bottles of Coca Cola. Knowing what we know of the relationship between sugar and acne it’s no surprise these people have skin problems. The moderate/severe acne group also gobbles over 3 times more transfats than the other groups. This probably means they eat quite a bit more junk and processed foods. There were no meaningful differences in glycemic index or total fruit and vegetable intake between the groups. I separated the data for milk intake to a separate graph. I think that graph is self-explanatory. People in the moderate/severe acne group consume over twice the amount of milk than people with no acne, and people with mild acne consume about 60% more. While these results look dramatic, there are a couple of caveats we need to keep in mind. This study used self-reported values to asses dietary intakes and acne severity. It’s no secret that such data is notoriously unreliable. People tend to have an overtly optimistic view of their dietary habits when filling such questionnaires, they underreport intakes of unhealthy foods and overreport intakes of healthy foods. That said, I don’t see any reason why we couldn’t use this data to compare the differences between groups – presumably all the groups had similarly optimistic views of their diets. And we shouldn’t confuse correlation with causation. 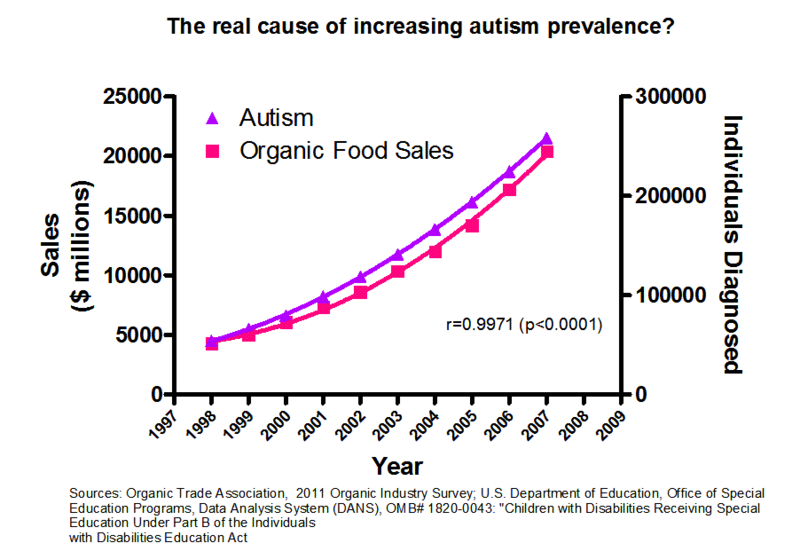 For example redditor jasonp55 discovered ‘the real cause of autism’ by plotting the data for organic food sales against autism diagnoses. Perfect correlation. If such correlation was found, for example, between GMO food intake and autism, natural health websites would be full of screaming headlines denouncing the evils GMO foods, but I’m still waiting for the email alerting me to the dangers of organic food! Funny how things work. Moving on… Were this the only study linking these foods to acne, I wouldn’t think much of it. But it’s not. There are other studies showing both sugar and milk can affect acne. When you see these results in the context of existing evidence the findings become much more interesting. I can’t draw any grand conclusions based on this study. If you are a regular reader, these findings probably don’t come as a surprise. Still, it’s interesting to see the fairly dramatic differences in sugar, transfat and milk intakes. Relationships of Self-Reported Dietary Factors and Perceived Acne Severity in a Cohort of New York Young Adults. Nice find. The greater amount of trans fats consumed was also interesting. That will in the long run affect fatty acid profiles. I’m not sure but I believe raw milk has more lauric acid than regular milk. Tthe best source of lauric acid and capric acid is coconut oil, AFAIK. I also found the finding that people with moderate/severe acne eat so much more transfats surprising. Mark, please be careful with jumping to conclusions from in vitro studies. Yes, lauric acid can be antibacterial against acne-causing bacteria, but it doesn’t follow that consuming lauric acid in foods would have any effect on acne. Lauric acid would have to make its way to the skin in sufficient concentrations for that to happen. While I won’t say it’s impossible (because I really don’t know if it happens or not), I’d say it’s a long road with many potholes. In vitro studies like that are usually done with the intention that they are followed with human studies using topical treatments. No I agree with you. I actually don’t really know the difference between in vivo and in vitro, so I will have to look into that. I do believe that consuming it regularly could help as it will be incorporated into the cells, although that will take time. I had lower levels per a blood test, and that is how I began looking into it. In vitro, literally ‘in glass’ means studies done outside a living organism, basically test tube studies. In vivo means ‘within the living’ and refers to studies done with animals, humans and other living organisms. In vitro studies are useful as a first step. They are cheap and easy to make and they can establish whether something is possible in theory. In test tube it’s easy to control dosages and other environmental variables. But there’s a long road from test tube to living humans. In this case lauric acid in milk would have to survive digestion (I’m not familiar what happens to fatty acids during digestion, whether they survive intact or are broken into pieces and assembled again in the body). Assuming they survive digestion, they then have to make their way into the skin, not just into the skin but also to the proper parts of the skin, and be taken in in sufficient concentrations to be lethal to bacteria. Any part of this long, and incompletely described, chain could easily break. This is why I tend to not write about test tube studies. They are more or less meaningless in guiding diet and lifestyle choices. All this said, raw milk is fairly safe to consume. It’s orders of magnitude more dangerous than pasteurized milk, but the absolute risk is very small. Coconut oil on the other hand is perfectly safe and wholesome food to eat. Probably true. Anyway, my point was not to discourage self-experimentation, just to let you know of the potential problems when it comes to test tube studies. In a situation like this test tube studies are not really better than no studies. I am still a fan of whole milk for the IGF-1 increase, which is correlated with IQ. That being said it certainly causes the secretion of insulin. Here is one more study for the lauric acid inhibition of p. acnes. I guess it’s because these kinds of food have a temporary ”positive” effect (if that makes sense) on our bodies, as in it makes you happy for a short while. I guess it’s like a temporary fix for acne patients? Even myself, I tend to resort to unhealthy food with the mindset like ”Why do I even bother, I’ll always get acne” And then regret it later on. :p Maybe that’s why acne patients tend to eat so much unhealthier. Yep, fast food is like a drug, and the food companies know it very well. They are also constantly working to make the drug even more addictive, making sure you are constantly reminded of it, and that it’s available as soon as your will breaks. The End of Overeating is a very good book on the subject. I was wondering if anyone has experimented with homemade Kefir? I heard great things about it, and a friend just gave me some grains so I’m already making my own (cow’s milk). It’s supposed to have low lactose. However, after reading this article and the link to the previous milk article reminding me about the insulin spikes associated with yogurt, it gave me a fright (lol). I haven’t had anything related with dairy in months. 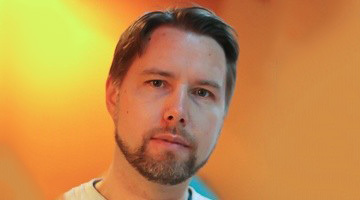 What do you think Seppo about taking small quantities of Kefir? It seems that even small amounts can do great things for your gut flora. I’m just trying to see if expanding my gut flora has any benefit, but I don’t want to risk too much. It depends on how much milk you can tolerate. I personally don’t have any issues with dairy products. I eat homemade yogurt every day and occasionally drink milk-based coffees (latte). I’ve never noticed that dairy products would negatively affect my skin. I’ve stopped all dairy several times and never noticed any change in my skin. On the other hand, I’ve heard from people who say even small quantities of dairy cause breakouts. So dairy tolerance seems to vary from person to person. I would take those articles promoting the health benefits of kefir with a grain of salt. Dr. Google is wrong more often than correct. I’ve written several articles about probiotics before: here, here, and here. It’s certainly possible that probiotic supplements and foods would be helpful in some health conditions, it’s far from a proven fact. Studies on probiotics have brought mixed results and currently it’s very difficult to say whether they have any benefits (outside of antibiotic-associated diarrhea). My suggestion would be to experiment a bit, but go into it with an open mind. You need to have some semi-objective way to determine whether kefir actually helps your gut or not. I personally find the Bristol stool scale and monitoring bowel movements and gut-related symptoms fairly accurate. I have to completely disagree with this study. In my experience, the people who eat total garbage are usually the ones without acne. For instance, my diet is probably one of the leanest you or anyone else will ever hear about. I eat absolutely NO (NO! ): dairy, refined sugar, bread, corn, vegetable oils, grains, transfat, pasta, pizza, chips, cheese, soda etc, etc. I ONLY eat whole natural foods with complex carbohydrates. If it doesn’t come from the produce section, I do not eat it. The only exceptions are chicken and fish, maybe beef. If consuming meats, I check that there are no additives, and no growth hormones. Just straight meat. Even then, there is no dressing or seasoning. I cannot possibly see how a diet like mine is lower in antioxidants (when I deliberately eat foods at every single meal that are particularly high in antioxidants) and more unhealthy and therefore leading to acne than someone who, lets say, eats cookies, ice cream, fast foods, and sodas. Even with this diet of mine, I _still_ get acne. Acne is a deeper problem going on. Prescription drugs and topical this that and the other are not ever going to fix it all the way. I think you are taking this study the wrong way. You shouldn’t interpret this study to show that acne -> junk food (that people with acne eat more junk – even though that’s what the title reads, lol). 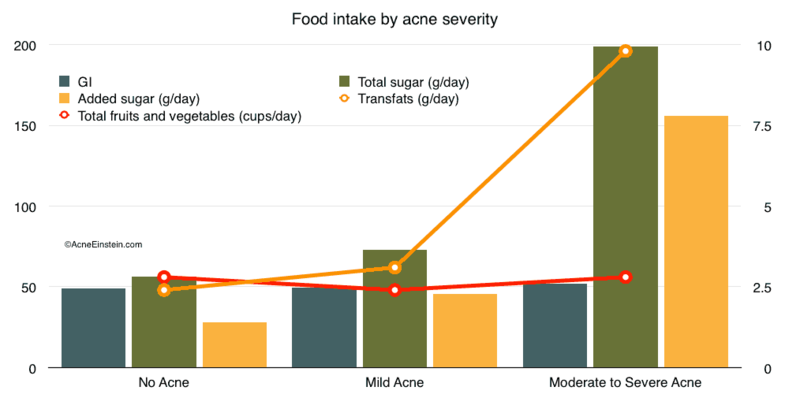 Rather this study shows junk food -> acne. Take any group of people and you’ll find that some people eat more junk than others. 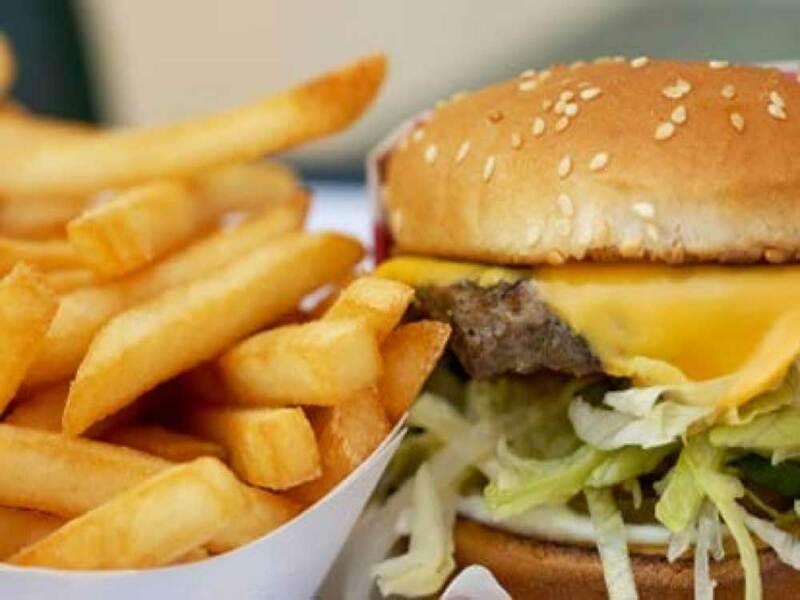 Now, a certain percentage of the people who eat more junk are also genetically prone to getting acne and one would then expect them to have more severe acne than other people. There’s a bit of selection bias going on in this study because they grouped people by their acne severity. Given what I said above, it’s not surprising that people with more severe forms of acne would, on average, eat more poorly than the other groups. That’s what’s going on in this study, or at least that’s how I would read it. As to your experience not agreeing with this. Well, it doesn’t really mean anything. There are many things that contribute to acne, junk food is just one small part. For some people the genetic component is much larger and healthy diet doesn’t help them so much. But you can’t say that just because this study doesn’t agree with your experience that the study would be wrong. Data is data. It doesn’t matter whether we agree with it or not. That’s why I like to focus on science and data. It’s independent of our personal biases and experiences. And that makes it much more reliable than any one person’s experience. I will also add that with the above diet, portions and serving sizes are religiously followed. I don’t overeat and minimize sugar intake. This is one of the primary reasons that I firmly believe the root of acne lies somewhere in metabolism. I think this is why dietary changes somehow help some people. I firmly think the cure lies either in metabolic processes themselves, or otherwise connected to the thyroid which controls those metabolic processes for the most part. Metabolism CAN affect hormones. So far that’s what has been suspected. It almost seems like there’s some kind of issue that just doesn’t allow for proper absorption of nutrients and in some way leads to a reduction in antioxidant capacity in patients. It’s mostly _because_ of my diet which is very, very high in antioxidants and observations based around them which are scrutinized very closely and with no deviation from them, that I ended up thinking this way. I would also like to see more research looking at how thyroid affects the skin. There are only a few papers and they show that thyroid has quite a big effect on how much oil the skin produces. I’m sure there’s more to the study. As to antioxidants in diet. You have to remember that there’s a difference between the systemic ’antioxidant capacity’ (for the lack of better word) of the body and local capacity in the skin. It’s the local capacity in the skin that’s the most relevant for acne. While antioxidant rich diet can help to some degree, I suspect we hit the ceiling of what it can do pretty quickly. There’s probably a limit of how much antioxidants can pass from the blood to the skin, or something along those lines.